Your heating and air conditioning systems are absolutely vital to how you use and enjoy your property. As such, you have an obligation to ensure that your HVAC system is always functioning in the most efficient, effective, and reliable manner at all times. At Precision HVAC, our Rhinebeck heating and air conditioning contractors are here to assist you with this responsibility. We have the knowledge, skill, and experience necessary to provide for all your HVAC related needs. The key to our success is simple. Our locally owned and operated HVAC company values each and every one of our customers. We understand how important your heating and air conditioning systems are. In every service that we provide, our technicians install, maintain and repair your HVAC devices as if the were our own. In this way, we consistently achieve the best possible results. Our heating & air conditioning professionals will bring this dedication to excellence to task for you. If you are looking for a highly skilled and dedicated heating and air conditioning contractor in Rhinebeck, call Precision HVAC today. Our courteous staff is always happy to assist a local family or business. We can answer any questions that you may have about our skills and services. Our team can schedule your appointment today. 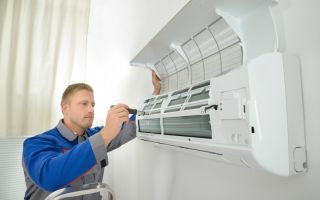 In order to keep you air conditioner operating in the best possible manner, it is necessary for you to conduct routine maintenance on the system. At Precision HVAC, our Rhinebeck air conditioning contractors specialize in AC tune-up services. We can personally inspect your HVAC system to identify any problems that are present. Our technicians can then repair them on the spot. Hiring our professionals to conduct annual air conditioning tune-ups during the early spring is the best way to maintain your home comfort system. You will enjoy an enhance level of efficient comfort all summer long. Your air conditioner will be less susceptible to major damage. Lastly your AC unit will last longer, postponing the need for an expensive replacement. If you need to hire a professionally licensed heating and air conditioning contractor in Rhinebeck, call Precision HVAC today at 845-399-0669, or fill out our online request form.